The first of a new five-part crossover series. 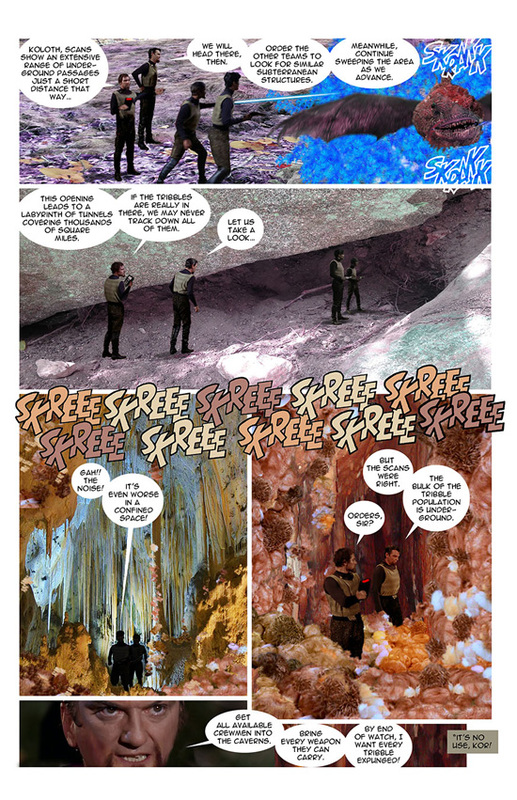 Written by Scott and David Tipton, with art by Rachael Stott. 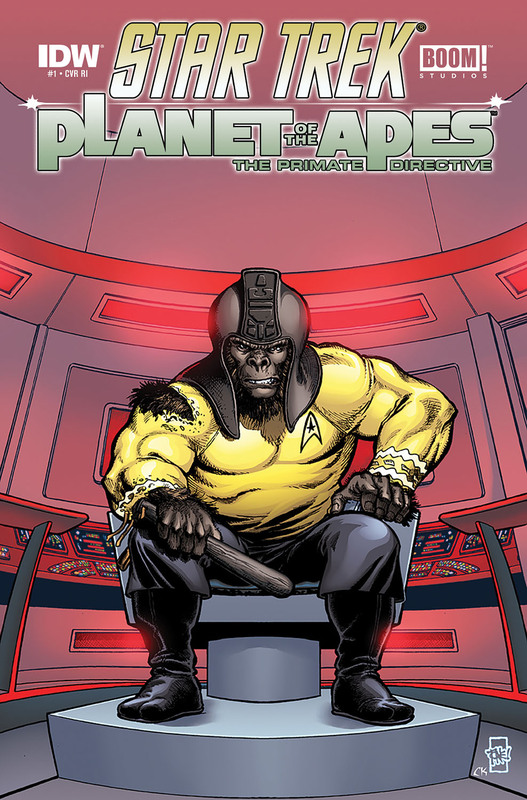 There will be no less than six different covers for this first issue in the series! The regular covers come from Rachael Stott and Juan Ortiz. There will be a subscription variant by George Perez, and several other retail incentive covers; one by variant cover by Tone Rodriquez, sketch version of the Perez cover, and a blank sketch cover (so you can get an appropriate artist to give you a bespoke cover when the opportunity arises). IDW have so far released four of the six, the Stott, Rodriquez, and Perez (regular and sketch) designs. 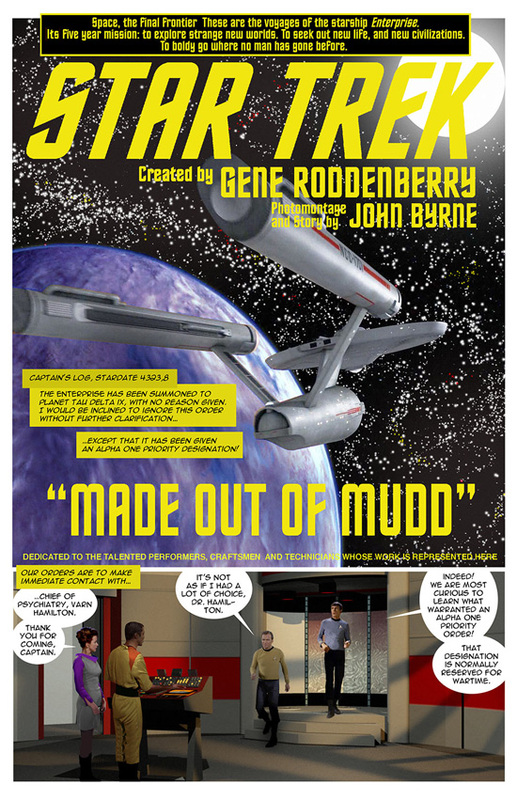 The latest double length photo-comic from John Byrne. 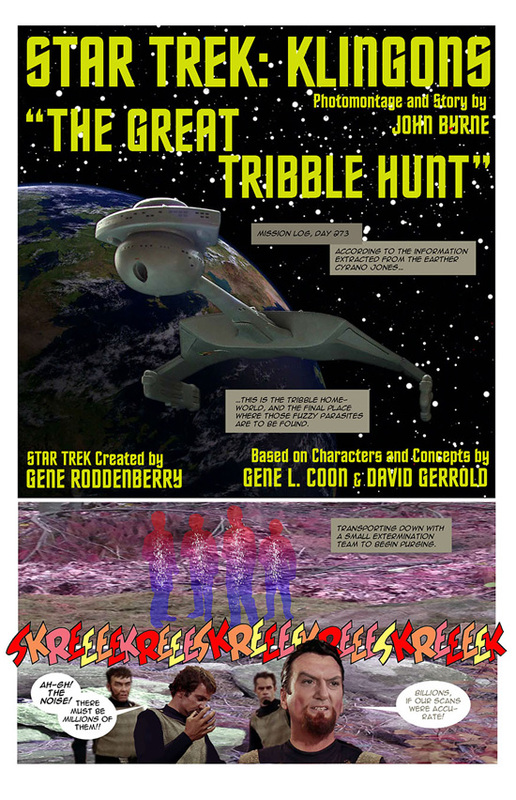 StarTrek.com have already posted preview pages from this, giving us the first couple of pages of both the main story, Made out of Mudd, and the secondary story, The Great Tribble Hunt. 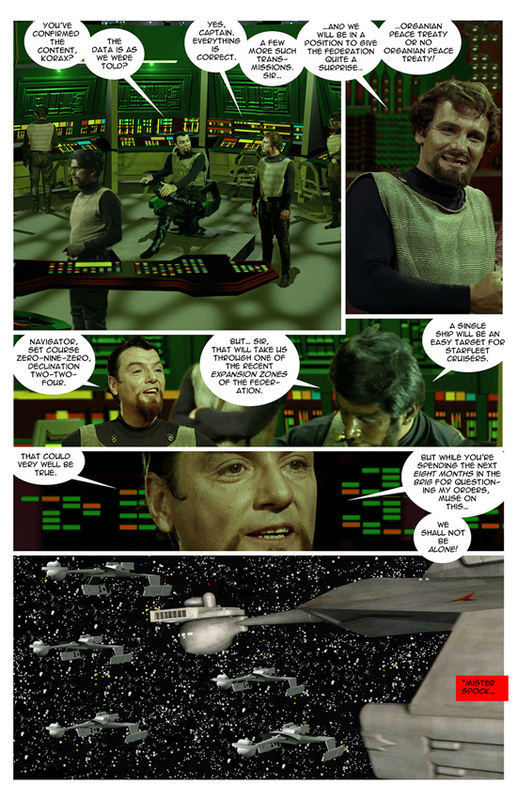 The final part of the six-part DS9 crossover. 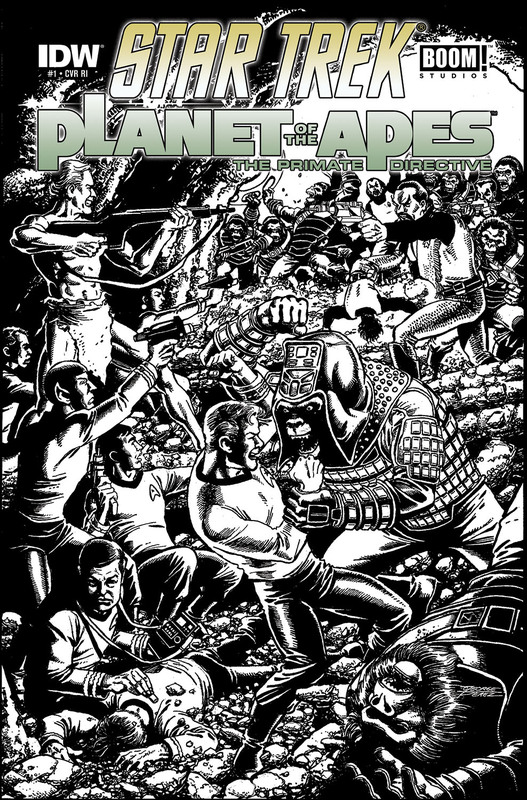 Written by Mike Johnson, with art and cover by Tony Shasteen, or a subscription variant photo cover. 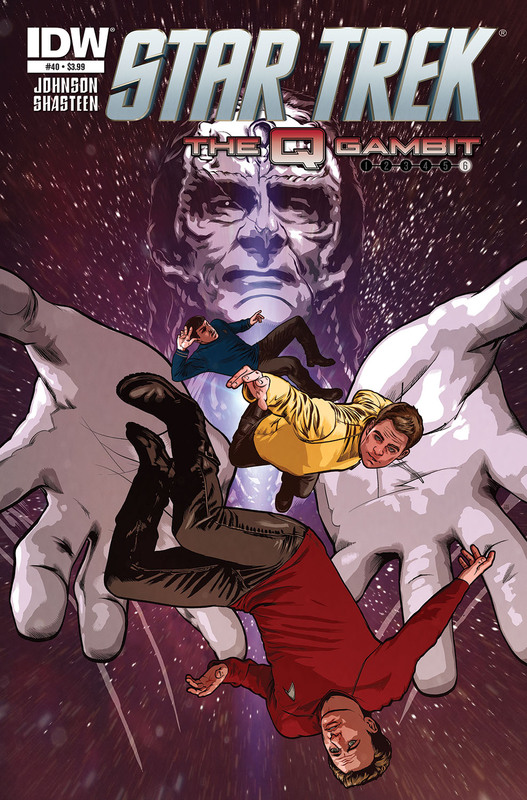 It's the epic finale of "The Q Gambit"! 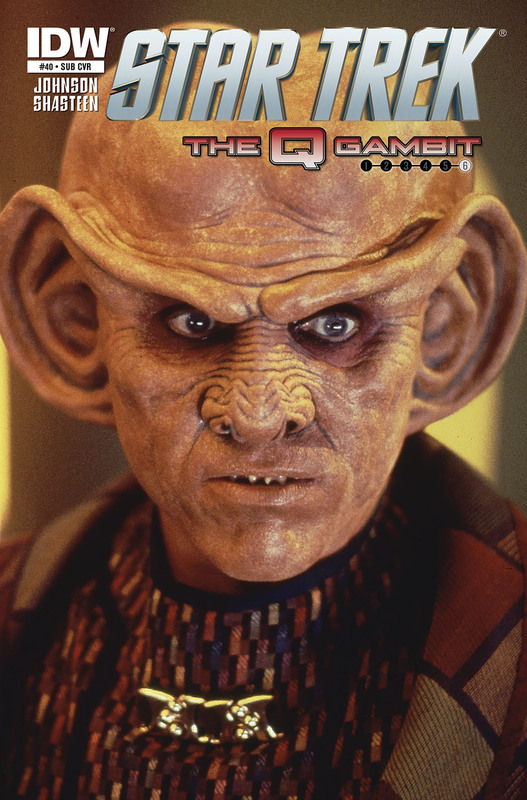 The fate of the past, present and future are at stake as Kirk, Sisko and Spock face off with the mad Cardassian Dukat... and discover the secret behind Q's machinations in their timeline! 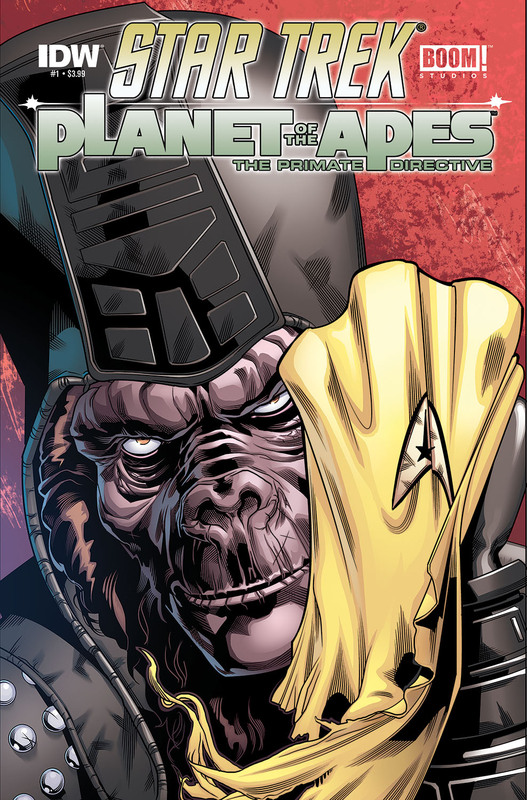 Don't miss this climactic chapter in the STAR TREK event of 2014, produced in association with TREK writer/producer Roberto Orci! 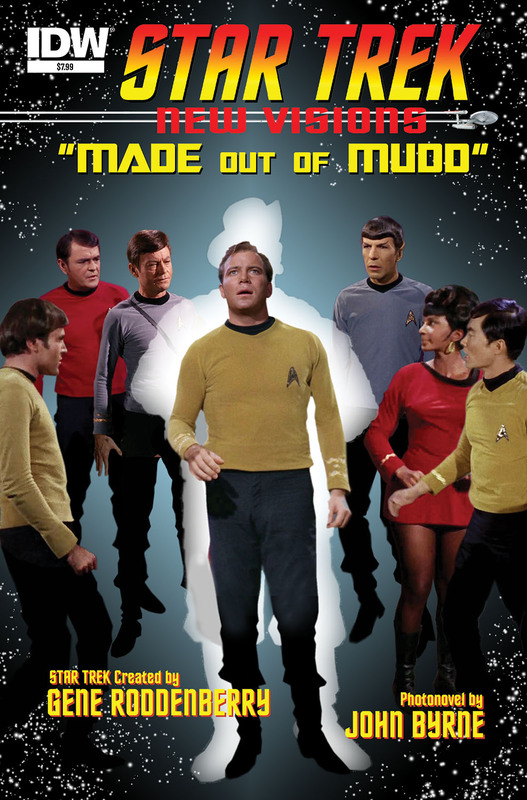 A new omnibus of the first twelve issues in the nuTrek ongoing series, making up six two-part stories. Wirrten by Mike Johnson, with art by Stephen Molnar, Joe Phillips, Joe Corroney, and Claudia Balboni, and cover by Tim Bradstreet. 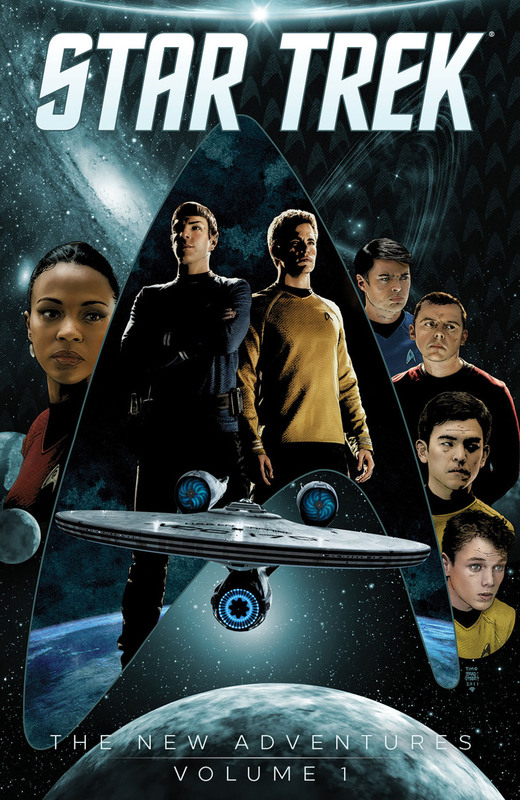 The adventures of the Starship Enterprise continue in this set of stories that take place between the first and second movies! 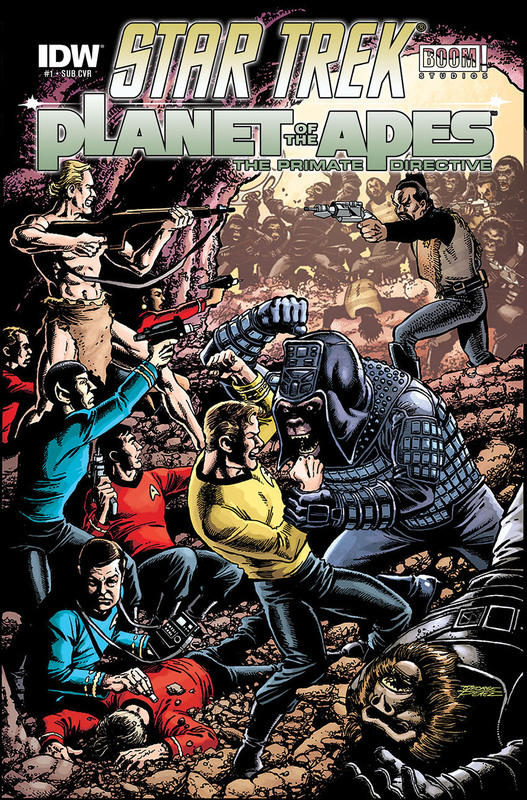 Featuring the new cast of the film, these issues feature re-imagined stories from the original TV series in the alternate timeline as well as brand new missions, all with creative collaboration with Star Trek writer/producer Roberto Orci.